For those who are not aware, Google has launched an interesting addition to the tools in the e-commerce and business industries last December 2018–the Pay for Conversion campaign. The option to pay for conversions will only be available to those who use Smart Display campaigns. Advertisers who want to pay by conversion can set their preferred conversion type in the bidding sections of campaign settings. 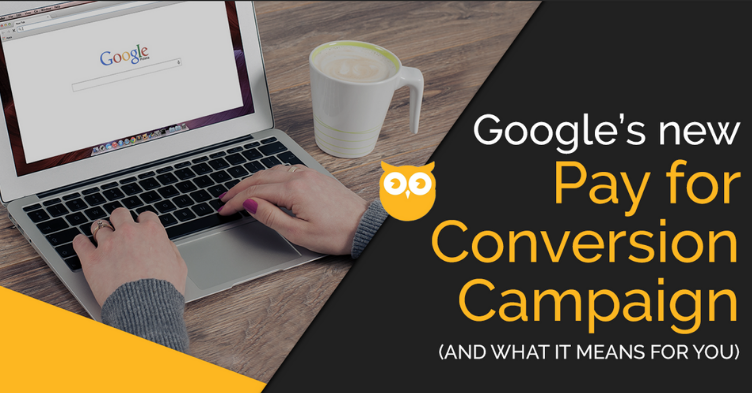 Conversions can be customized depending on how you set up a campaign. A conversion can be in a form of a sign up for a newsletter, a fulfilment of a survey, or a purchase. The campaign uses the same click-based bidding algorithm, but with a slight difference to the accustomed Cost-per-acquisition (CPA), wherein the CPA campaign is set up to work per click. The Pay for Conversion campaign leaves advertisers with the option to pay only when a successful conversion is made through an ad campaign, which is a new experience for advertisers. The Pay for Conversion campaign does not optimise for offline conversions and cross-device conversions. Therefore, the campaign will not count conversions if an ad was clicked and the action was accomplished in a different device, browser, or app. The campaign’s main goal is to generate as many conversions as possible without going above the intended cost per conversion. For instance, if you have a target cost per conversion of $10 and acquired 50 conversions, you will be charged $500. You will not be charged for the clicks that did not lead to the conversion. With the Pay for Conversion campaign, you can worry less about spending on clicks that did not convert. For instance, you are running a pay-per-click campaign with a keyword that costs you $2 per click. If you acquire 250 clicks in a month, you will be charged $500. However, if your landing page fails to convert the ad traffic, then this is only costing you a -$500 investment without any actual returns. Keep in mind that variables like cost per click, quality score, and bidding will affect the overall performance of your campaigns. The new campaign will be an opportunity for advertisers to expand marketing strategies. The pay for conversions campaign can work to your advantage if incorporated properly with current strategies. Your account can be eligible to bid in the pay for conversion campaign if you can generate 100 conversions within 30 days; these conversions must be completed within seven days after the ad was clicked. Unfortunately, not all Ads account can leverage the new campaign feature. Google has yet to disclose other account qualifications. What do you think about theseGoogle’s New Pay for Conversion Campaign? contact us for your ideas now.